The National Library of Medicine recently digitized a 1501 edition of what is commonly considered the first printed book on distillation. 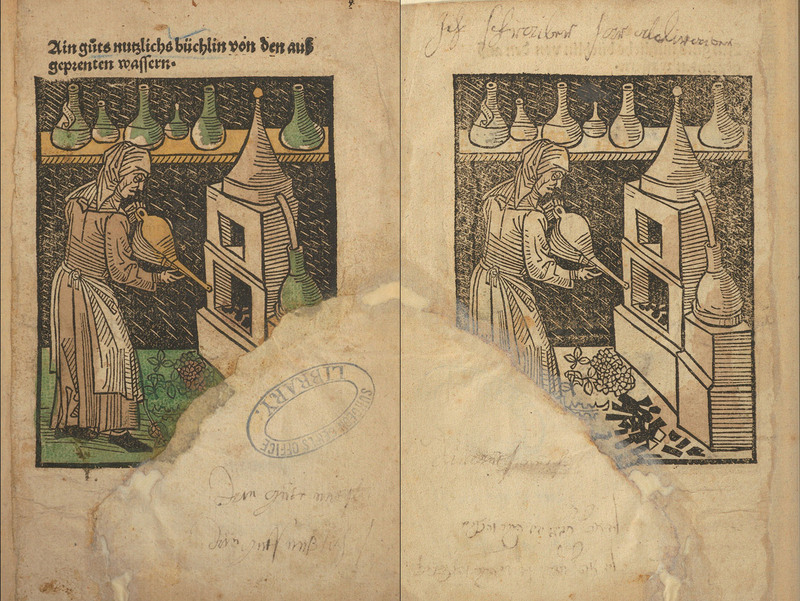 First published in 1476, Ain gůts nutzlichs Büchlin von den aussgeprenten Wassern (A Very Useful Little Book on Distillation) by Austrian physician Michael Puff von Schrick provided readers with dozens of recipes for distilled waters and insights into the developing technology of distillation. As the invention of the printing press allowed wider access to information in vernacular languages (including German), innovations in distillation expanded in part due to these more readily available manuals. Yet practical “how-to” books like this one were often discarded due to wear and tear, so while over 38 editions of this work were printed, a limited number of copies survive for each edition. This copy has had a rather fascinating history. Two sides of the titlepage. The image features a woman tending to a “Rosenhut” distilling furnace with bellows in hand and an alembic to the right. Herbs and coal lay at her feet as six receiving vessels sit within reach on the shelf above. In 1965, while in the midst of compiling a full bibliography of the National Library of Medicine’s 16th century holdings, Richard Durling encountered an edition that at first seemed rather uninteresting. The woodcut illustration on the title page was certainly not unfamiliar to the History of Medicine’s Chief Cataloguer. The same image had been featured in several other editions of Schrick’s work. It was the name Hans Hochspring, the little-known printer of this 1501 Ulm edition, that caught Durling’s attention. Until this point, it was thought that nothing Hochspring had printed had survived. Fascinated by this “…shadowy figure of the annals of Ulm printing,” Durling consulted various bibliographic tools and learned this edition had remained unrecorded. Together with Sheila Durling, he co-wrote the article “An Ulm Unicum of 1501 in the National Library of Medicine, Bethesda, Maryland” the same year to spread the word while adding it to the larger compilation, later published as The Catalogue of Sixteenth Century Printed Books in the National Library of Medicine in 1967. This edition was printed with Schwabacher type, the earliest popular type for printing German vernacular works. 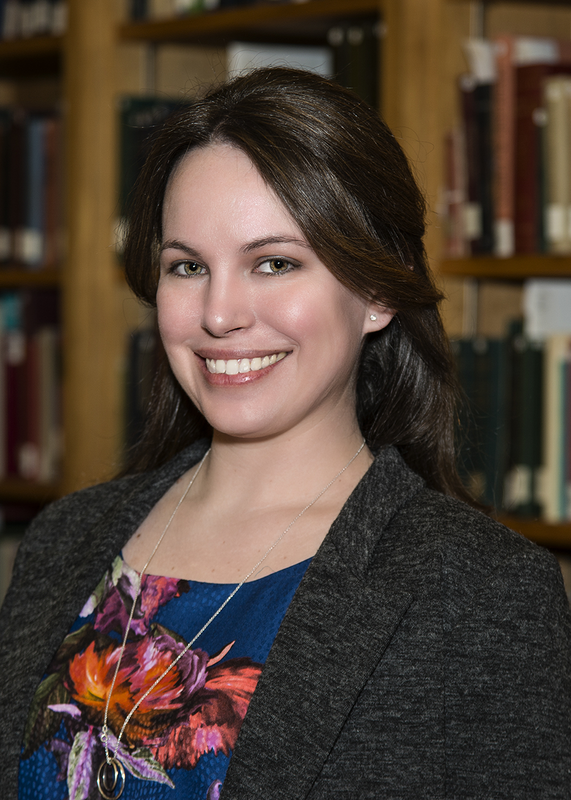 In the decades since Durling’s find, bibliographic tools have advanced beyond print to also include online resources that can help institutions investigate the rarity of their collections and identify potential areas of focus. One widely used resource is the Universal Short Title Catalogue (USTC), a collective database of all books published in Europe between the invention of printing and the middle of the seventeenth century, compiled from existing bibliographies and new projects by the team at the University of St. Andrews. In 2015, the National Library of Medicine joined a group of pilot libraries to participate in their Preserving the World’s Rarest Books project, at which point the project team at St. Andrews systematically analyzed our collections from the electronic catalog, matching books to USTC editions to determine how many copies have survived to the present day. These results were returned as a list of holdings according rarity factor, the “rarest” defined as books with five or fewer surviving copies in the world. This 1501 Ulm edition of Schrick’s work was included on this list of “unica,” or unique specimens, and continues to appear as the only recorded copy in the world. It is important to note that many private collections are not included in the USTC database, creating the possibility that more copies will be brought to light in the future. We can only hope! The physical book and its acquisition history tell us more about how this copy survived the odds. When National Library of Medicine acquired the title on October 14, 1884, it was bound in a parchment manuscript fragment from the Latin Vulgate (fragments from discarded medieval manuscripts were often repurposed as binding material) together with Bartholomaus Metlinger’s Ein Regiment der jungen Kinder (Ausburg, 1500). Inner surface of the original binding. Outer surface of the original binding. Both volumes were removed and bound separately but staining and damage patterns to the both volumes lead us to conclude the 1501 Schrick edition was initially bound second. It is quite possible that the previous owner, a Netherlands professor named Jacob Baart de Faille (1795–1867), might not have been interested in the Schrick volume at all. As a former pediatrician, he may initially have been drawn to purchase the Metlinger title on child care and so the little treatise on distillation was bound to survive by association. As part of the NLM Incunabula Digitization Project, plans were already underway to not only digitize Metlinger’s Ein Regiment der jungen Kinder but also to reunite the copy with the earlier binding. Since participating in the Preserving the World’s Rarest Books project, the Schrick volume and the details of its acquisition were once again brought to our attention and now will also be included in the reunion. A future post will feature the fully conserved “after” photograph of the binding along with a history of Metlinger’s work. Cataloging these rare items requires extensive research and close scrutiny. Even the doodles can be important clues to the history and identity of unique books. The imaginative drawings are one of the joys of the job. 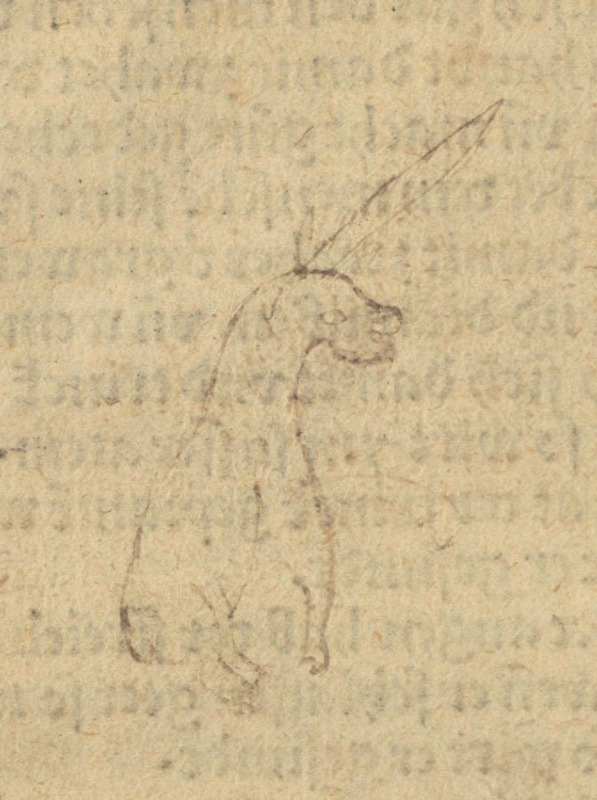 Have we found a unicorn dog? Other recent additions to the NLM Digital Collections from the list provided by the Preserving the World’s Rarest Books project include a 1545 French tract on treatment of the plague, a 1552 Spanish almanac, and a 1596 educational poster that was featured in a post last year on the project’s blog. If your library would like to join the project, too, learn more about it here. You can arrange a tour of the NLM and its incunabula collection by contacting the NLM Visitor Center. For information on access to the collections explore our website. Greetings from the Gesamtkatalog der Wiegendrucke at Berlin State Library. I’ve been following the NLM’s incunabula digitization program closely (thanks to the kind cooperation of Laura Hartman) but didn’t know about this blog until now – terrific! Just one little note regarding the enigmatic printer of the 1501 Ulm edition. His name is recorded in archival sources as “Hochspringer” (literally, ‘high jumper’), not “Hochspring”, and he may also have been the printer of a 1499 broadside (GW M43112, cf. https://gesamtkatalogderwiegendrucke.de/docs/M43112.htm), that’s why incunabulists also have heard of him. Actually there were two people of the same name, father and son. 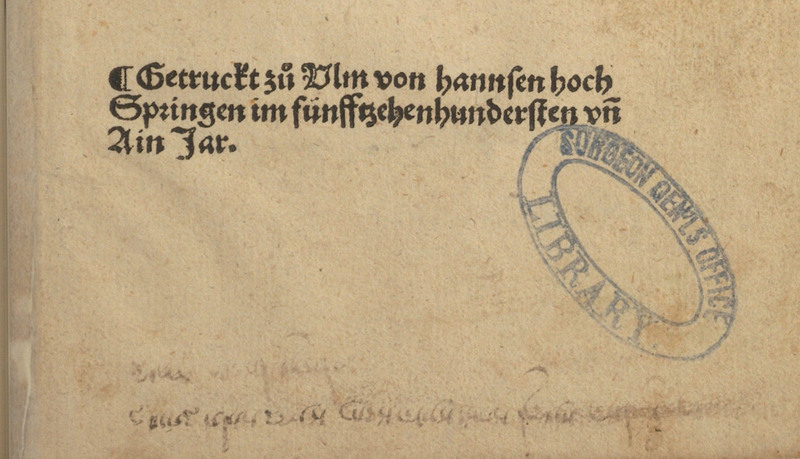 Very little is known about the two high jumpers, but there is a very erudite article about the NLM unicum in Der Frühdruck im deutschen Südwesten 1473-1500: vol,.1 (Ulm), exhibition catalog curated by Peter Amelung, pp. 360-361 (and HH is mentioned elsewhere in the catalogue as well). A photo of the NLM copy’s colophon – with the curious spelling “hannsen hoch // Springen” – had been included in the exhibition. Welcome to the blog! We hope you enjoy the posts, especially those about NLM’s incunabula collection. Thank you for the information about Hans Hochspringer. Just imagine what else Durling could have accomplished with access to today’s technology!